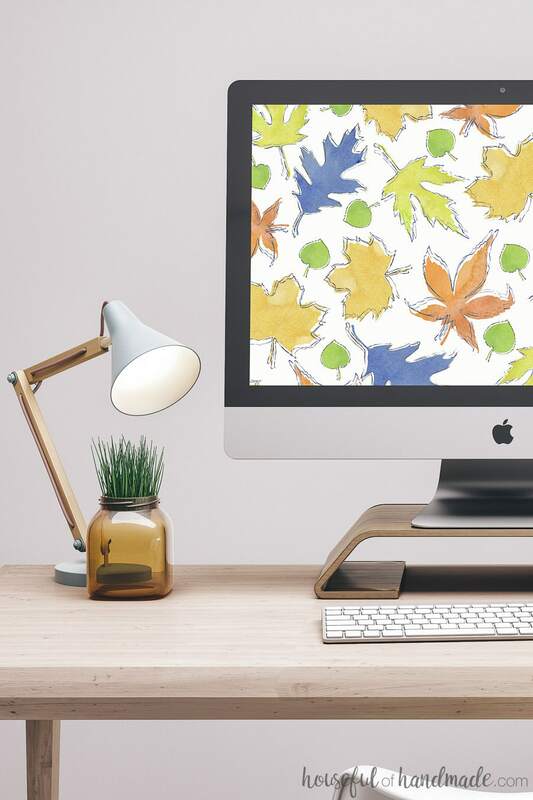 Falling leaves are the perfect digital wallpaper for your phone and computer this fall. Enjoy the free digital backgrounds for September. This weekend is the official end of summer here in Utah. The nights are already getting cooler. But this weekend everyone takes their last camping trips, the pools close down, and the kids are all back in school. But as sad as it is to say goodbye to summer, it is also amazing to say hello to fall! And to celebrate the start of this wonderful season, I made these fun falling leaves digital wallpapers. The free digital backgrounds for September will have you ready for a PSL in no time! Raise your hand if you are so excited for fall? One of my favorite things about fall is the leaves turning. Our mountains start to glow with all the colors. Sunday drives to play in the leaves and explore in the cool air take the place of BBQs and pool time. Even as I drink my pumpkin spiced coffee, while still wearing my shorts, I am excited for what the season will bring. 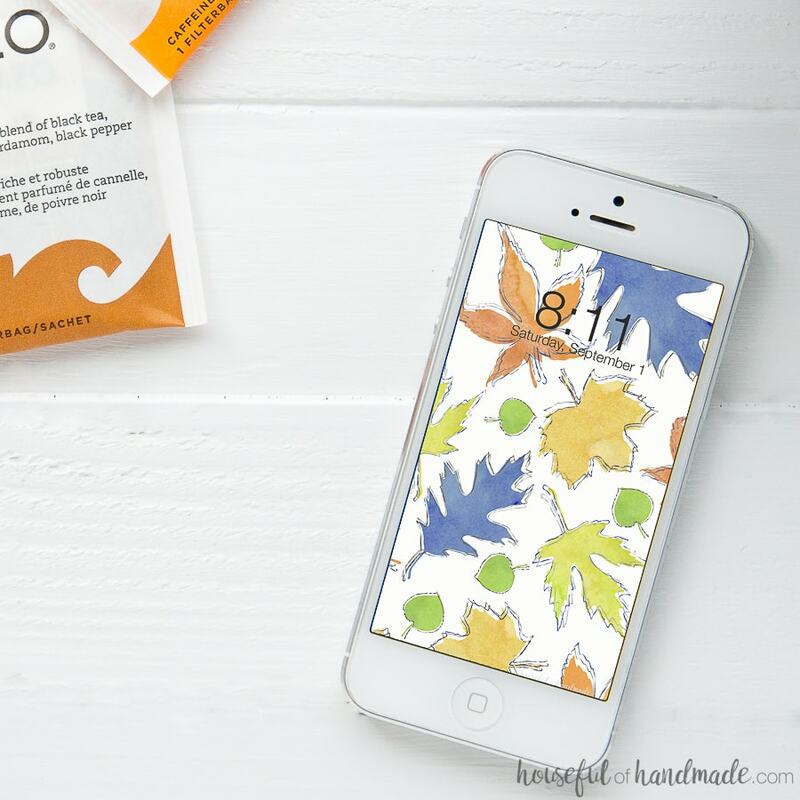 To help you transition from tropical fun and all things summer, this fun falling leaves pattern will help you get excited too for fall. Since it is still 85 degrees during the day (but luckily nice and cool at night), I was not quite ready for the bold red and orange color schemes of fall. Instead I decided to play with some non-traditional falling leaves. Like always, I created a free digital background for September with a 2018 calendar and one without. 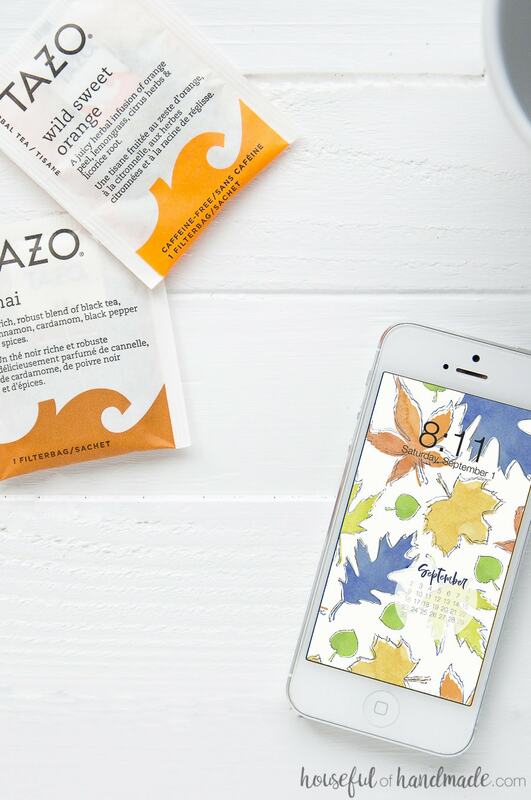 No need to say goodbye to the fun fall leaves just because September is over! And you can add this little bit of fall to your smartphone or computer so enjoy. 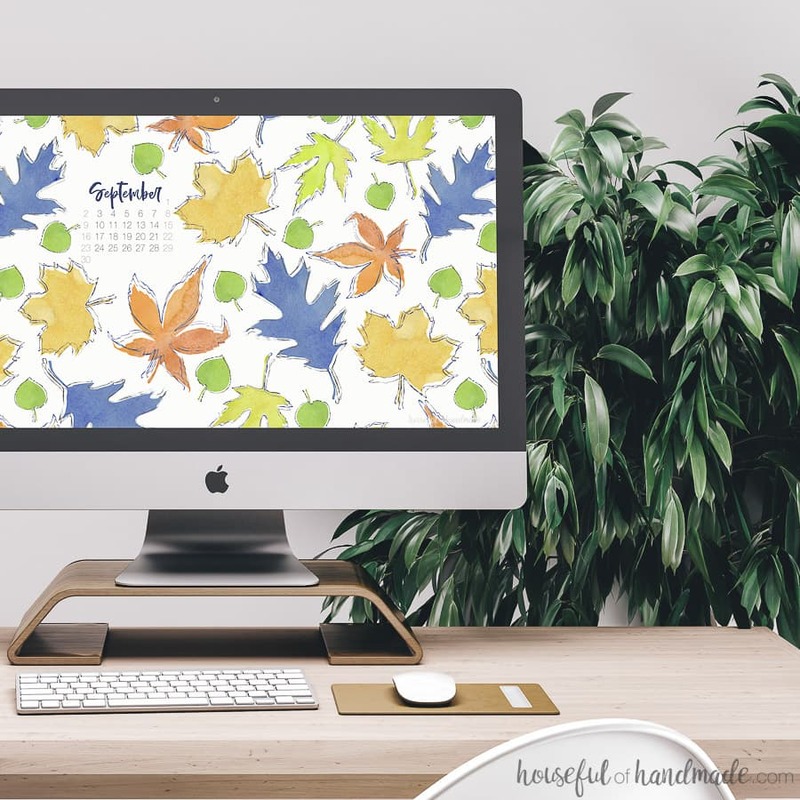 If you want to celebrate the start of fall on your electronics too, click on the link (or links) below to download the free digital backgrounds for September today! This is perfect! I’ve been in love with blue-in-fall for the last few seasons. Thank you!